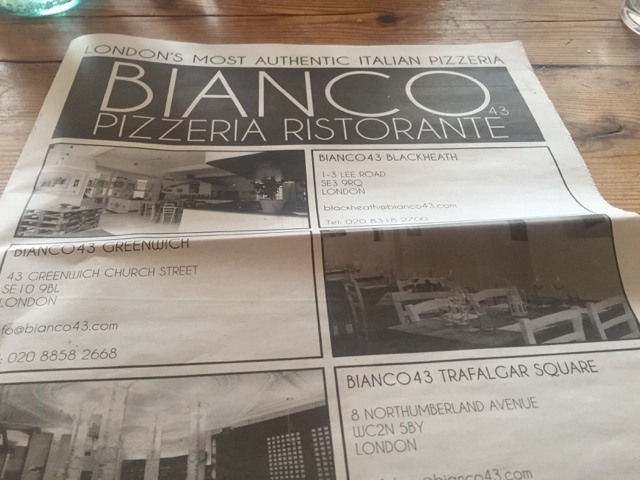 So without further ado, let’s start with Bianco-43 Italian restaurant. 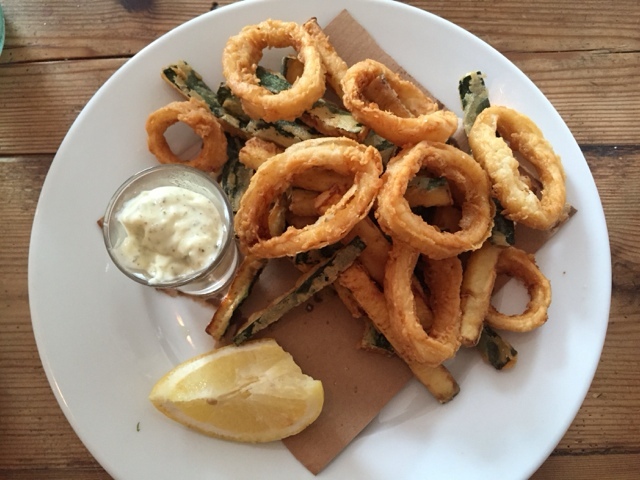 Based right near the beautiful Cutty Sark, this restaurant caught my attention due to favourable reviews from fellow bloggers. 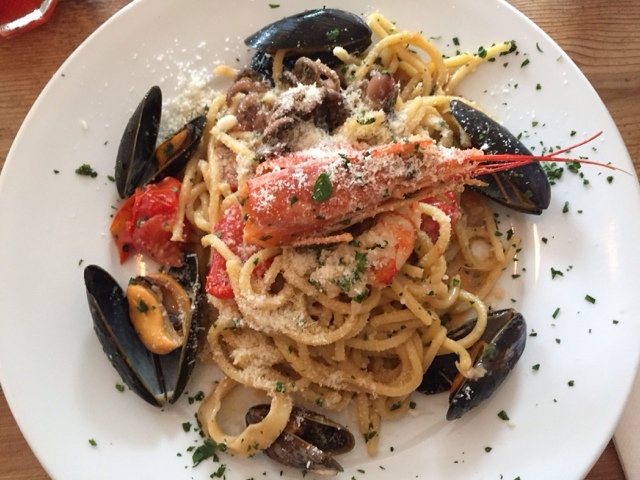 That aside my last trip to milan seems to have reignited my passion for Italian food ( I love my French food), so i was quite keen to visit this place. The restaurant was a bit busy upstairs and downstairs, however that’s not surprising seeing as it was a Saturday lunch time seating. One of the cool things that stood out about the restaurant was the menu designed in the form of a newspaper. The food itself tasted quite good. You can tell they sourced some quality ingredients. 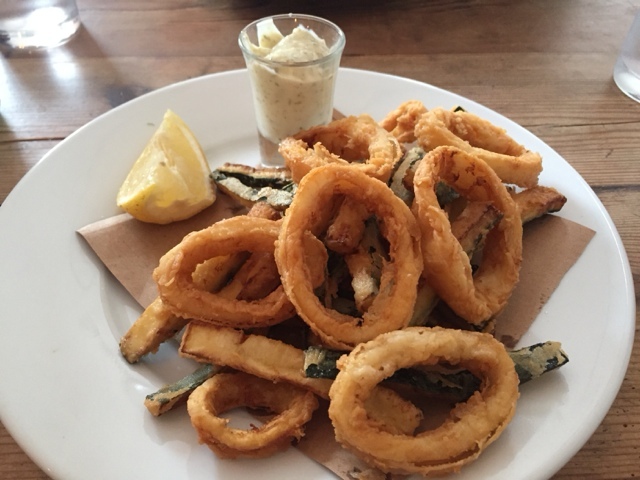 Some of the dishes we had were the fried squid and courgettes with tartare sauce. 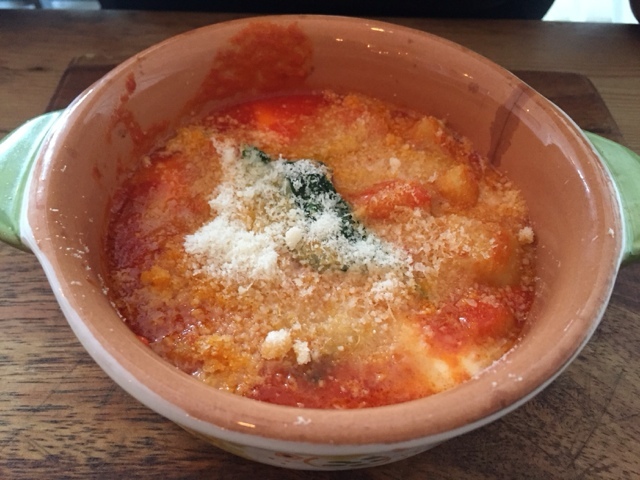 Gnocchi Alla Sorrentina : Moorish oven baked gnocchi with tomato sauce , mozarella, parmigiana and fresh basil. On the whole, this was a nice restaurant. 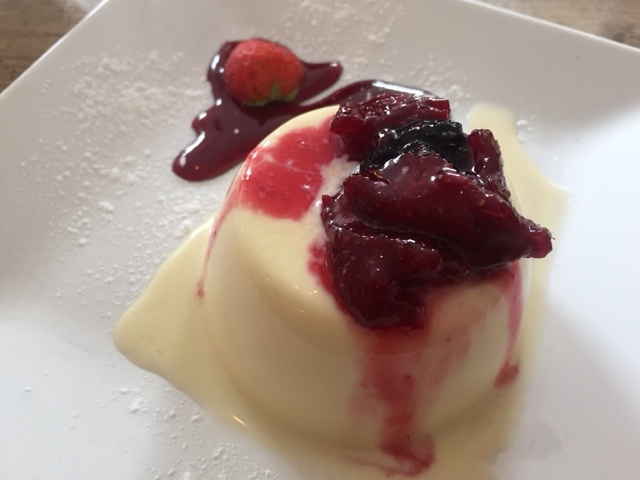 If you’re in the Cutty-sark-Greenwich area, this is probably one of the best places to get a table ( with the exception of Inside restaurant just down the road). 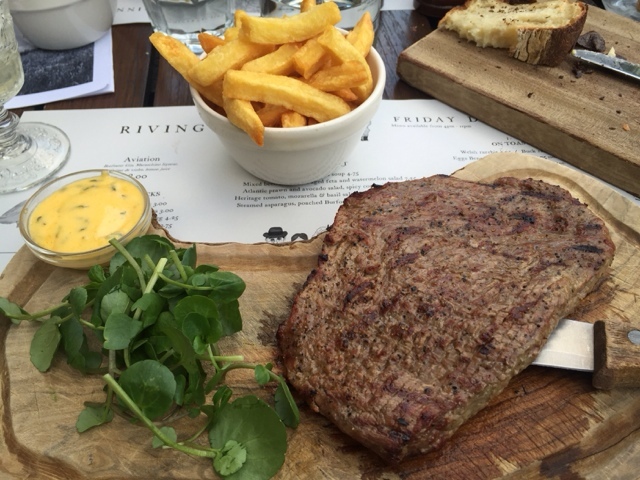 One of the best places to get a good steak in Greenwich has to be the Rivington grill. We managed to secure a nice table just outside. 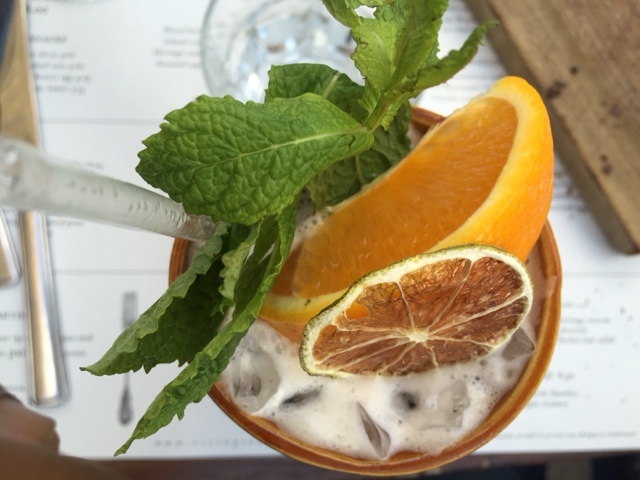 The staff were quite friendly, with some nice cocktail suggestions. If only I can remember the names. 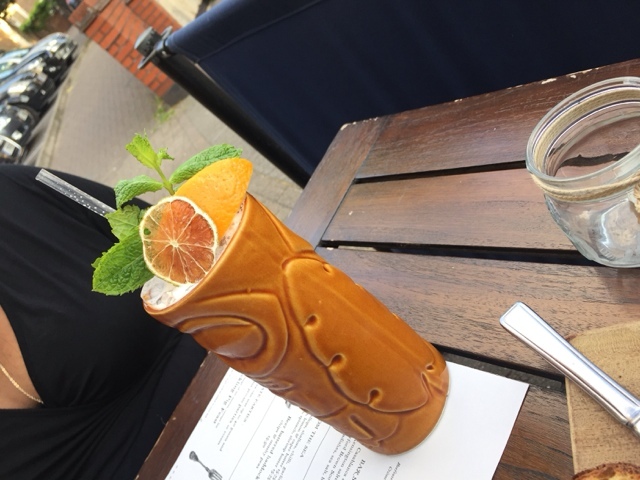 Help me out grill..zombie cocktail? Fish punch?. Didn’t take waiter’s name, but she spoke about her parents farm amongst other things ( interesting table conversation). We ordered the minute steak and despite what you may think, the portion was quite filling and tasty. 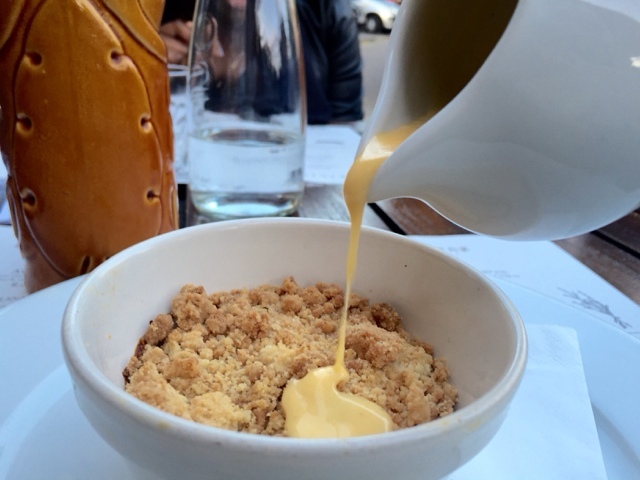 Dessert was a very moorish gooseberry crumble with custard. Not a bad way to finish the evening. 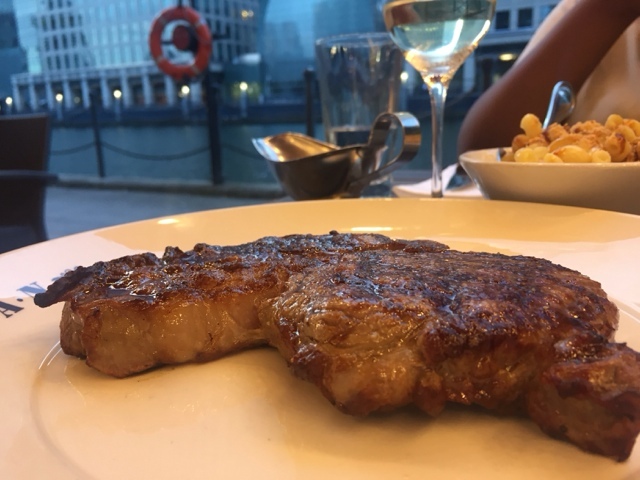 The second steak restaurant I visited (Goodmans) probably has to be one of the best steak restaurants in Canary wharf. I really need to start this part by thanking last nights waiter ( Eddie). The customer service can’t be faulted and I think there are some restaurants that could do well with following this example as it’s a crucial part of the overall dining experience. He was friendly without being over bearing. He came up with some good suggestions (Elysium Muscat wine with our dessert) and was on hand to make some nice steak recommendations after it turned out they run out of the lobster tails. 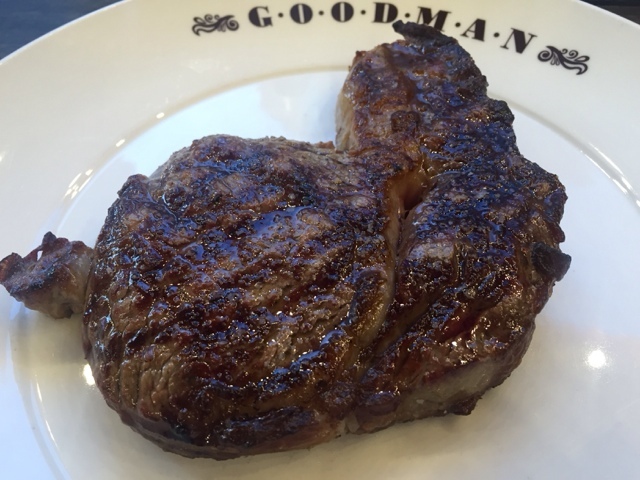 The recommended ‘ Goodman’ cut 400g Nebraska Angus Rib-Eye was fantastic. Medium rare, tender, very flavourful with just a bit of fat. When I love a dish, I tend to post a few pics of various angles. Check out a few shots below. 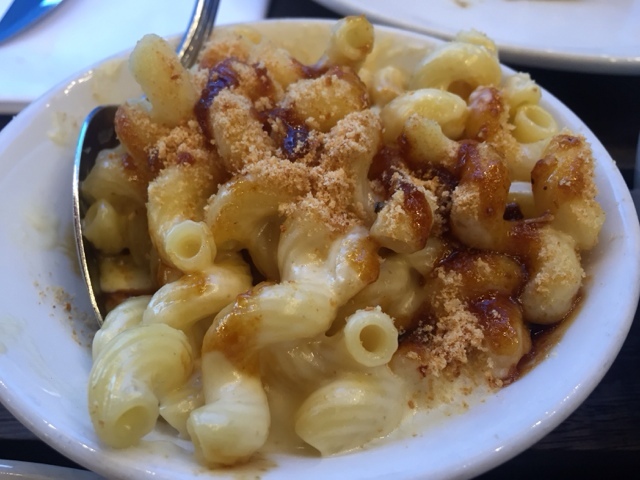 I paired this dish with their truffle macaroni and cheese. Will definitely order this again I reckon. 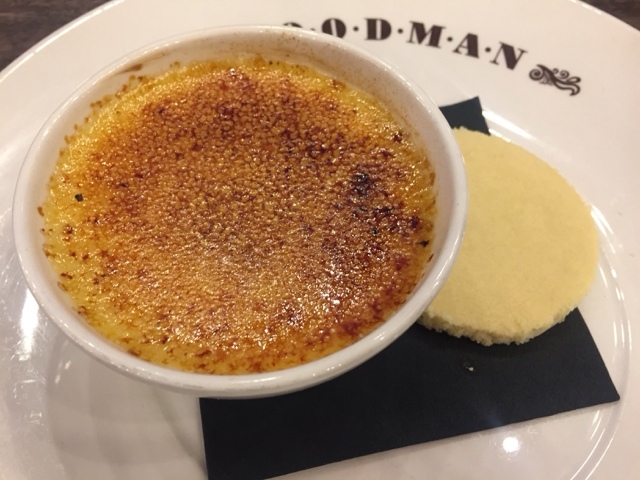 We finished the meal with their White chocolate Creme brûlée and it’s accompanying biscuits. 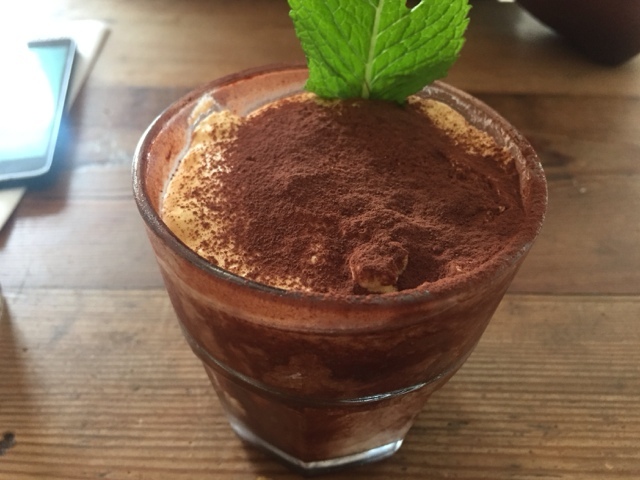 A nice end to a very good meal. Nice experience at Goodmans as usual. 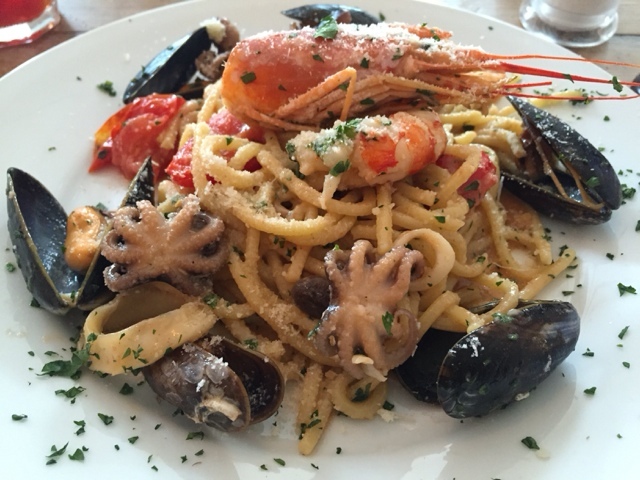 Am looking forward to going back for a meal already. 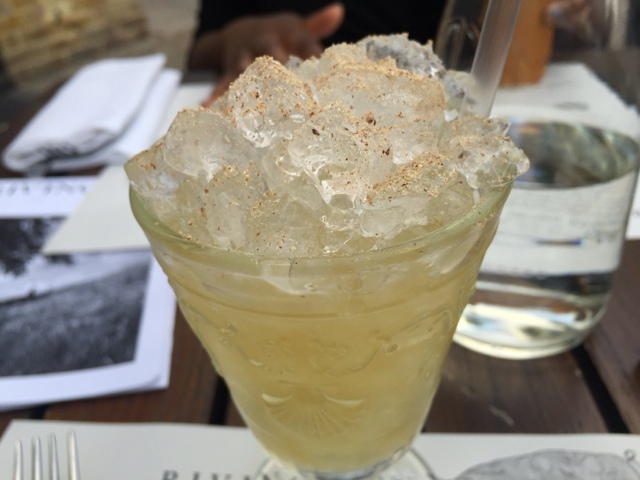 There goes a selection of restaurants to visit in greenwich and. Canary wharf. There are others of course and I’ll look forward to posting about them in the coming months. I’m off to Paris in a few weeks so watch this space. Have a nice weekend and see you soon. Enjoying your food blog thoroughly!